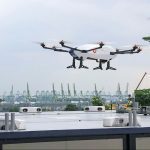 Here’s another world’s first happening in tiny island state of Singapore. Airbus’ Skyways Parcel Delivery Drone has begun trial of shore-to-ship delivery in Singapore. Obviously, cargo delivery isn’t new, but as far as shore-to-ship delivery, this is the first. 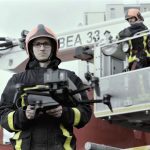 With this trial, it marks the first time drone technology has been deployed in real port conditions to delivery a variety of small, time-critical maritime essentials to working vessels at anchorage, said Airbus. 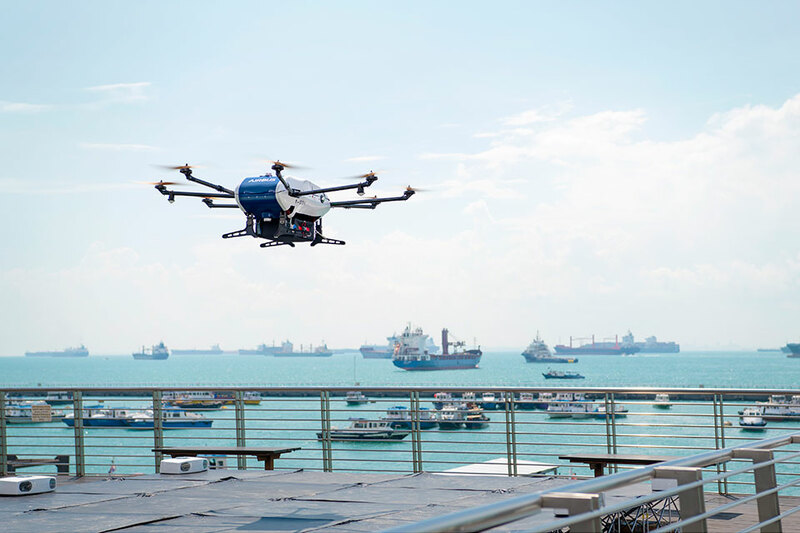 The trial, which is undertaken in collaboration with maritime logistics and port services company Willhelmsen Ships Services, sees Skyways drone lifting off from the pier with up to 4 kilograms of payload and autonomously navigating its way alone pre-determined “aerial corridors” to vessels anchored as far as 3 kilometers from the coast. 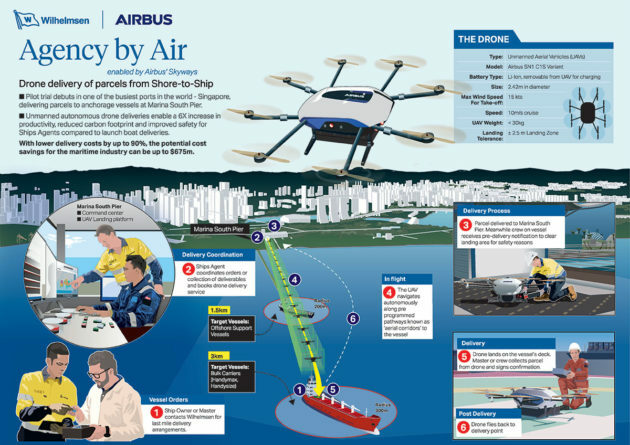 Airbus said Skyways, when compared to conventional launch boat services, is 6 times faster in delivery, costs up to 90 percent lesser, and that’s not to mention the carbon footprint reduction and negating maritime accidents. 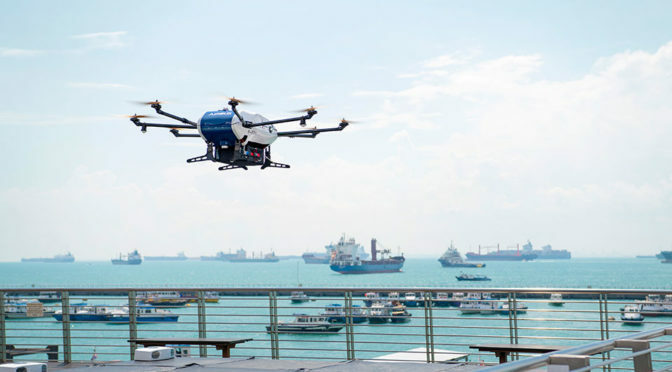 Now that Airbus’ Skyways have proven that it is capable of delivering parcels safely and reliably to vessels anchored off the coast of Singapore, it plans to commence overland air parcel delivery at National University of Singapore (NUS). 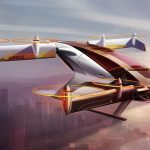 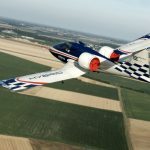 With regards to the later, the European aerospace giant had successfully demoed Skyways’ capabilities during a demonstration in February 2018.